Dieting Information Weight Loss high protein diet, starch carb blocker ephedra free fat burner.Nutrition Supplements. The waist... the thighs... the buttocks. That added weight certainly adds up. 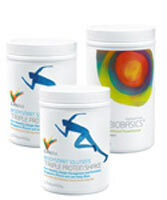 The Daily BioBasics Shape Pak includes Daily BioBasics and two Super Shakes (chocolate or vanilla), which provides a high-protein, low-carbohydrate, low-fat, nutrient-dense, fiber-rich formula that helps satisfy hunger and provides energy. And with a low price of $110, the only thing expanding is your bank account. Our Daily BioBasics Shape Plus Pak gives you the option of adding the Phase'o Lean Starch Blocker or SlenderLean Booster to your BioBasics Shape Pak, giving you added benefits, all for a low price of only $141. SlenderLean -a breakthrough product for the nutritional support of healthy moods, energy, appetite and weight management, as part of a complete program of diet and exercise. This completely unique and patented product is the culmination of many years of research, which have resulted in a proprietary botanical blend that can never be duplicated. Give yourself a great gift this year. or call our order center below. Life Plus offers a 30-day money-back guarantee on products sold, excluding shipping and handling charges. Copyright © & Disclaimer 1995-2016 - SJS Distributors , USA. All Rights Reserved.